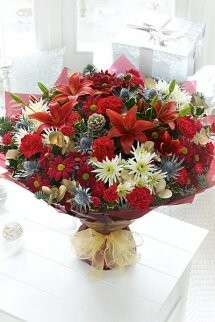 This extravagant extra large version of our best-selling bouquet is going to make someone's Christmas. It's such an impressive display, full of dazzling flowers and festive colour.A Perfect Cheristmas Cheer! !